These days a business without a website is almost unheard of. However, smaller and local businesses sometimes don’t take the plunge and get one of their own. They assume that their loyal customers and word of mouth will see them through. These are also the businesses which are almost destined to fail, as people simply don’t know enough about them to decide to visit. According to Google, “50% of consumers who conduct a local search on their smartphone visit a store within a day, and 34% who search on computer/tablet do the same.” Do you really want to miss out on that many potential customers? If that’s not a compelling argument to keep your site updated, read on for more reasons. Some people don’t want to call a business to find out more. Whether they want to know your opening hours or place an order, there will always be another business who is more accessible. These businesses will post their hours online, take orders on their website and display their location. Those who work 9-5 won’t have time to call in to check on these things. They will just go to a company whose information they can access at a time more suited to them. This can also apply to busy families who will want to check things out once the kids are asleep. If your business is in an obscure location such as a business park or back of a shopping centre, it’s unlikely that you’ll have many customers walking by. They’ll need a reason to come to your little corner, whether it’s your amazing product range that no other store in town has or your glowing reviews. Don’t expect people to be able to find you ‘just because’. It won’t happen. If you’ve ever been on holiday, you’ve probably had a look online for what’s in the local area before you even book your trip. Put yourself in the shoes of someone on holiday. Even if you are getting by on local customers, you can increase the number of people you get through your door if you let tourists know where you are. Without a website, reviews and products to view, how on earth are these people going to know you exist? If you’re a company which provides a shipping service or a product which can be delivered online or over the phone, you can get business from out of town by having a website. With these products, people will care less about the location and more about the quality. If your tool shop delivers but only has one location and no website, how is a builder from another county supposed to know about the great sale you have on saws right now? With a website, you become accessible to everyone. 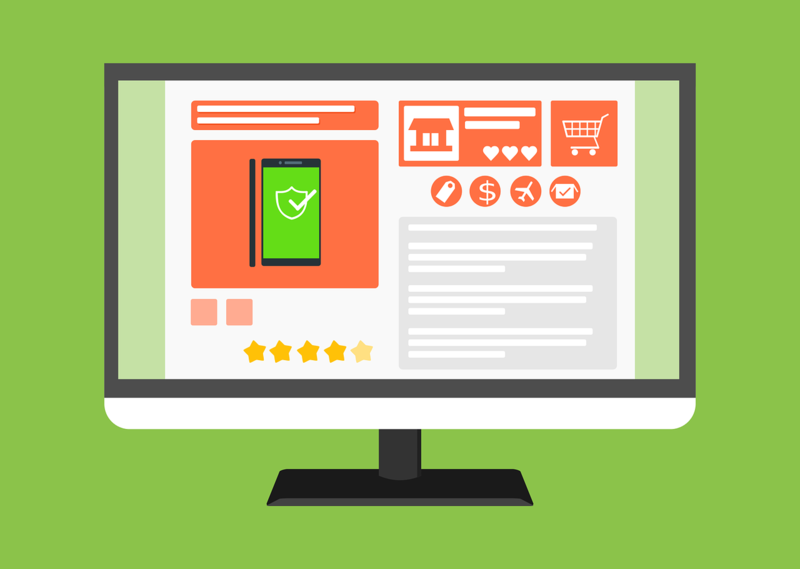 By being able to read your company’s honest reviews and feedback, your customers will feel a lot more secure in their purchasing. They can read about what works, what doesn’t, the quality of service and so much more. As a bonus, allowing reviews to be made lets you respond to any negative ones in a helpful and constructive way. This also gives you a platform to show how professional you are. Remember to always take the conversation about a negative experience to private messaging. If you have no review system, your company can look quite shady and people will assume you’re a bit of a con or too new to be worth doing business with. All these potential customers will move on to the next company with 4-5 star reviews. Think about all that business you’re losing! Having social media and a blog also allows you to showcase many positive things about your business. For example, a company Instagram account can be used to show a human side to your business which makes you seem a lot more friendly and approachable. Blogs directly addressing issues your customers may be facing shows that you care and are listening to their problems. None of this would be able to happen without an online presence. Taking phone calls all day, every day can become tedious. What time do you open? Do you have x in stock? What time do you close? This can all be fixed with adequate and correct online information. Your Facebook, Google My Business and website should all have the same opening times. Your website should have a ‘check stock’ button. These are very easy and quick things to do and will save you so much time as well as free up your phone line. Taking orders online is one of the cheapest, quickest and most secure ways of completing a transaction. By doing it this way you minimise mistakes through human error and leave a paper trail that protects both parties in case of a computer mistake. A great online advertising campaign, inspiring social media posts and a compelling website can really get you noticed as a small business. Building followers through blogging and sharing on social media get your products noticed by more people. By creating things that people want to see, they will be more tempted to share your content. This gets you seen by more and more people, which is exactly what you want. If a customer is trying to recommend you to a friend or colleague, they may struggle with an adequate description of the services you provide. Have a website you can link to, posts users can tag each other in and blogs that people find useful. People love to share things, so make sure you have something worth sharing. 3 Top Tips to Get the Most from Your Flyer Advertising!